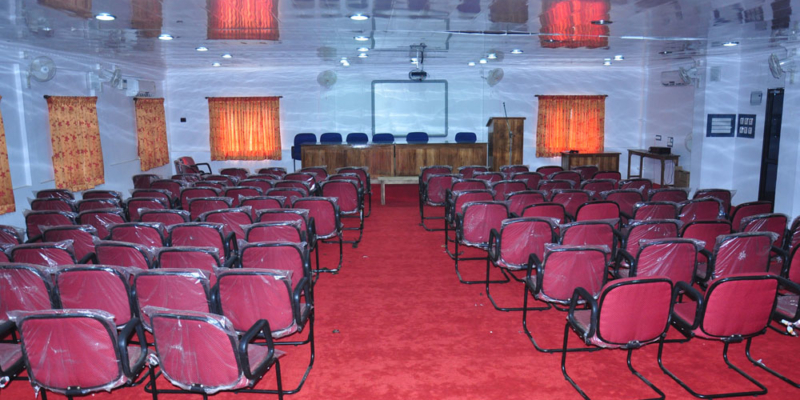 ICT supported Audio Visual Hall with a seating capacity of 200 is maintained in the College. It was set up with the financial support from UGC, PTA and Management. Interactive board, digital visualizer, LCD projectors are also available there.